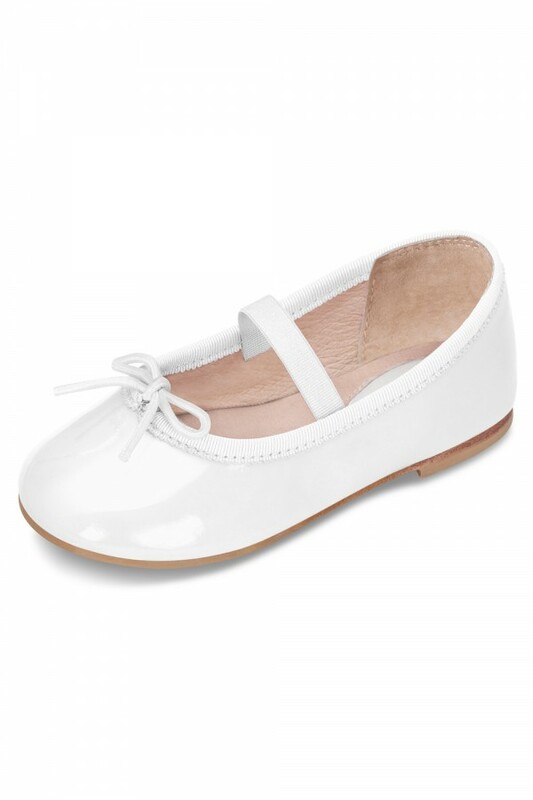 This classic ballet flat is made in a stylish soft patent leather and is finished with a grosgrain binding and drawstring bow for an exceptional fit. An elasticized strap across the foot paired with non-slip rubber inserts on the outsole, make this shoe ideal for little ones learning to walk. The soft leather lining and our iconic padded teardrop at the heel offer extra comfort.